Good Thursday morning. Less than one week until Christmas. Ahhhhhh. Everyone panic. Actually I've stopped wigging out. The gifts are bought. They are partially wrapped. There are a few cookies baked. My only concern is that I have at least 3 holiday movies that I need to get in. I must get my priorities straight. Today I'd like to share with you a holiday craft you can whip up in 5 minutes flat. 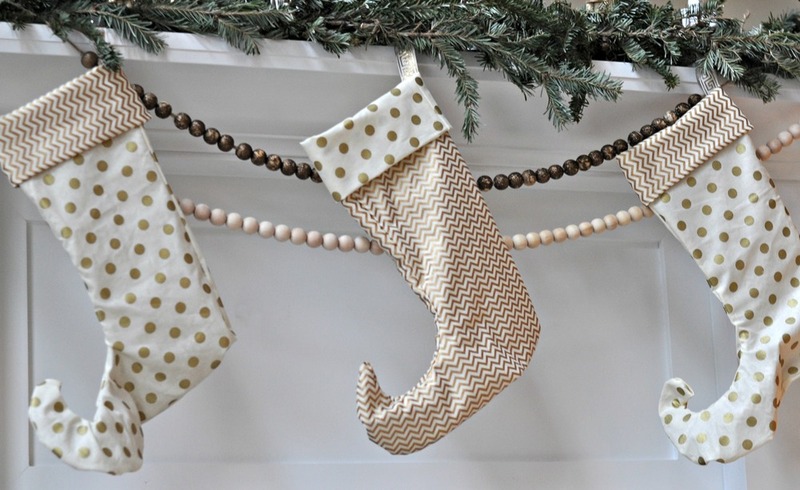 I had some questions on how to make the wood bead garland from my holiday mantel post. It's actually stupid easy. There are Ike pictures to make up for the fact that it is so easy. If painting beads, start there. Keep stringing until you have reached your desired amount of beads. I think I used 55-65 for my strands. Get an annoyed look from your dog when you tell him to find something else to do other than make wet nose marks all over the holiday decorations. Get an angry look from your dog when you tell him to stop chewing on the beads. They are not wooden balls for the dog to play with. They are a choking hazard for crying out loud. This is why we don't have children. Edit: This project may only take 3 minutes if you don't have "help" from a furry monster. Hang the beads in your desired location. I tied mine to the garland. You could also use 3M hooks. Does your dog like to make holiday crafts? What's your favorite quick craft this season?